Moderately easy a 3½ mile round trip, with an elevation gain/loss of about 800 feet. If you have an hour or two to spare, and you want to “get above it all”, this may be the perfect hike. 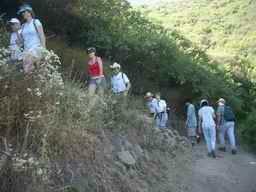 It is a well maintained trail with lots of foliage. 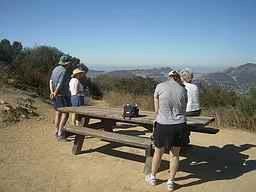 At the top, the picnic table at Angel Vista offers great views of the Conejo Valley, the Oxnard Plains, and (on a clear day) a couple of the Channel Islands. How to get there: From the 101 Freeway take Ventu Park Rd. south, turn right on Lynn Rd. and left on Regal Oak. 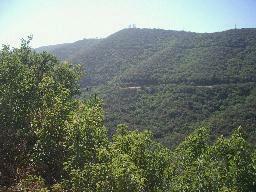 The trailhead is on the left near the end of Regal Oak. From Ventu Park Road, drive a short distance west on Lynn Road, then left on Regal Oak to the end. Park on the east side of Regal Oak. 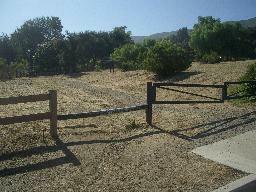 This is a “multi-use” trail (which means it is shared by hikers, bicyclists, and equestrians). 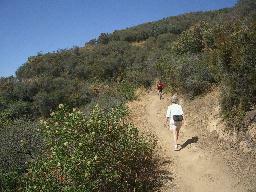 It is especially popular with hikers and bikers. 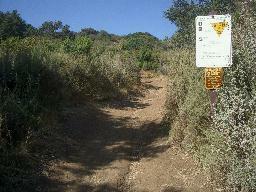 Trail users must remain alert, watching and listening for other users. but depending on the time of day, it is mostly in direct sunlight. 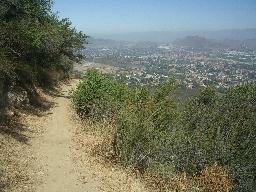 Nearing the top, the trail wraps around to the south face of the hill, with views of Los Robles Open Space. 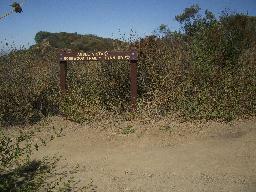 At the point where the trail splits, the left fork is the connector to Los Robles trail. 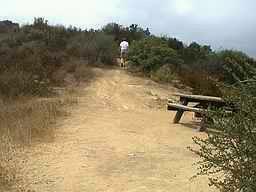 The path to the right leads to the picnic table at Angel Vista. 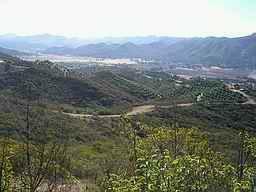 From Angel Vista, the 360° views are of Conejo Open Space to the south, Conejo Valley to the north, and on a clear day, the Pacific Ocean and Channel Islands to the west. You can stop at the picnic table for a snack and/or to take in the view. The trail ends a very short distance beyond the picnic table, where a cleared area at the top of the hill offers even more views. Return by way of the same trail that brought you to Angel Vista.